The Defence and Security Accelerator (DASA) and the Home Office (HO) are scoping the potential for an innovation challenge addressing knife crime in the UK. To aid in the design of the challenge, they are engaging the market in order to provide the HO with an understanding of what capabilities currently exist or are in development that could provide solutions. The HO is interested in solutions that can identify or detect people carrying, overtly or covertly, a wide variety of steel-bladed knives in open spaces, crowds and uncontrolled areas (i.e. where there is no presence of security). 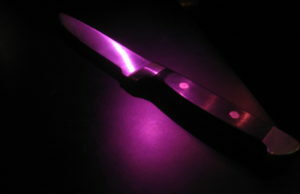 There is a requirement to detect steel-bladed knives in the presence of other commonly carried benign metal items (e.g. keys, phones, coins etc.). As well as being concealed on the person, this also includes knives carried in bags (e.g. handbags, backpacks etc.). They are interested in all forms of potential solutions from specific technologies, through to advances in behavioural sciences. Potential solutions could be at any level of maturity, but we are particularly interested in those at the higher end of the scale. Further details, including the submission forms are available on the HO’s website. The deadline to submit Capability Submission forms is 5pm on 20 July 2018.